Finding child care for your children is not always easy and can sometimes feel overwhelming. 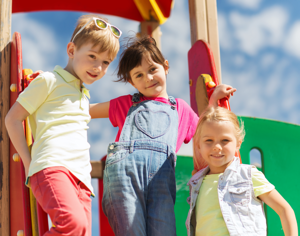 When visiting a child care center you should consider these factors. 1. Does there seem to be a comfortable atmosphere in the center? 2. Do the children appear happy, comfortable and relaxed? 3. Is the facility well organized, neat and attractive? 4. Are there materials and toys available to the children that are safe and in good condition? 5. How long have the teachers worked at the program and what are their qualifications? 6. Are teachers involved with the children, rather than just directing their activities? 7. Do the teachers use positive language with a pleasant tone? 8. What are the program’s hours of operation and is the program ever closed? 9. What are the program’s sick child policies, including the giving of medication? 10. Are there daily report forms and other forms of communication? After visiting a child care facility make sure you feel comfortable and at ease before enrolling your child. If you are comfortable, chances are your child will be too.